At Aspen our staff is dedicated to a team approach to all people we serve. 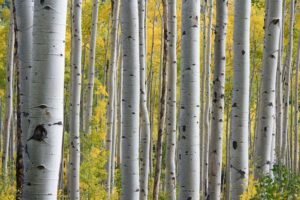 We look at each individual child as a unique “tree” that we assist grow with our knowledge, compassion and support. Lisa has been a working SLP for over 20 years and has a true passion for early intervention. Lisa graduated with her master’s degree from the University of Buffalo and relocated to the Raleigh area in 1998. Lisa started Aspen in 2004 and is the creator of the Aspen’s preschool programs. She now leads a wonderful staff in carrying out Aspen’s mission. Lisa’s experiences go beyond preschool to include medical settings such as the ICU and various school systems. Despite working in these amazing settings; Early Intervention continues to be her true love. Lisa’s time and education in Speech Pathology has lead her to become a skillful practitioner for Apraxia, Autism, Sensory Integration, feeding issues, and Developmental Delays that effect speech and language development. Lisa has been trained in PROMPT therapy and utilizes this approach with many of her clients. Lisa has worked in interdisciplinary teams for years and has gained experience from teachers, occupational and physical therapists to better serve the whole child and family. Lisa is married to her husband Jeff, she has a 10 year old daughter and 2 spoiled dogs! Karla is the Preschool Director for the Aspen’s Cary location. She is from Raleigh and currently lives in Apex with her husband, son and her dog, Lucy. She is a graduate from North Carolina Central University receiving her Masters Degree in Communications Disorders. She graduated specializing in culturally responsive early intervention and assistive technology. Her experience includes: working in a skilled nursing facility, various elementary schools in Wake, Durham, and Wilson counties, as well as working in a preschool specializing in assistive technology for infants and preschoolers. Karla has experience working with children with articulation and phonological delays, expressive and receptive language disorders, apraxia and autism. She also has experience and specific training in PECS and ESL, as well as accent modification. Karla is an empathetic therapist who strives to have fun and engaging sessions that help children reach their full potential. Jamie moved to Raleigh 12 years ago to receive her undergraduate degree and has made Raleigh her home. 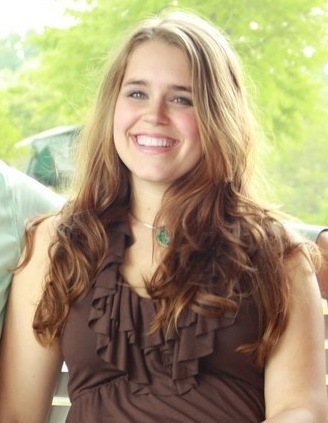 While attending Meredith College, she received a Bachelor of Arts degree in Psychology and Child Development. She focused her degree in Child Development and student teaching experience on working with severe and profound special needs children. After graduating from Meredith, She completed volunteer work and a practicum at Duke Hospital through a continuing education program at Meredith College. While at Duke Hospital, she discovered that she had an ability to build a quick rapport with families and children. She also found a passion for helping families and children cope with their hospital experience while also increasing developmental growth, especial in social/emotional behavior. 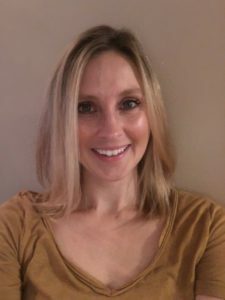 Jamie has spent the last eight years working with both typical and atypical children in a childcare setting and with developmental therapy in a school and home setting. Experiences include: Developmental Delays, ADHD, Autism Spectrum Disorder, Communicative Disorders, and Behavioral Therapy. Kate is originally from New York and currently lives in Apex with her husband, young son, and two dogs. She is a graduate from North Carolina Central University, receiving her Masters Degree in Communications Disorders. She was part of a special interdisciplinary training grant to prepare SLPs in treating children with developmental disabilities. Her experience includes: working in preschool and elementary schools in Durham and Wake County Public Schools, a preschool specializing in assistive technology for infants and preschoolers, Murdoch Center with adults with intellectual disabilities, a pediatric private practice, as well as working in a group setting for adults with neurogenic disorders. Kate has experience working with children with autism and related developmental disabilities, Down Syndrome, cerebral palsy, articulation and phonological delays, expressive and receptive language disorders, and apraxia. Prior to becoming a Speech-Language Pathologist, Kate was a preschool teacher in inclusive classrooms in the U.S., China and Bahrain. She also studied autism for several years in a research setting with a focus on transitions. Kate has an interest in social skills development and loves teaching children through play. Maggie relocated to Raleigh with her husband and daughter from the Chicago area. She is originally from Kansas and has been living in many parts of the US due to her husband’s career as a professional soccer player. Maggie received her Masters in Occupational Therapy in May 2013 from the University of Kansas Medical Center. She has experience in a variety of settings working with adults and children across the lifespan. Through her experiences, she has developed a love for working with children focusing on learning through play in early intervention, home based, and clinic based environments. Her areas of expertise include sensory related concerns, motor development, and supporting independence with a focus on self care. 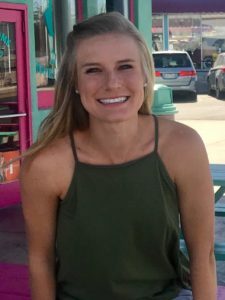 Maggie is passionate about supporting the unique strengths of each individual child while working toward family goals. Kayla received her Masters Degree from Murray State University in her home state of Kentucky. She recently relocated to North Carolina from Memphis, TN. While in Memphis she worked as a SLP in the Shelby County School System. She has worked with children with a variety of disorders including but not limited to: speech sound disorders, language impairments, Down Syndrome, Autism, Fragile X Syndrome and developmental delays. She has a passion for working with young children and their families and feels that early intervention is the place she is meant to work and where she can make a difference in the lives of those she serves. She is excited about all of her new adventures in North Carolina. Mary joined the Aspen Team this January and has been a wonderful and energetic addition to our team. She received her degree from ECU and has a strong passion for pediatrics. Mary is an advocate for early intervention where children can learn through play in the home, clinic and in the community. 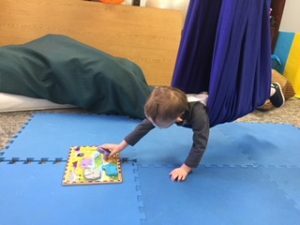 Mary serves children with a variety of challenges including sensory processing issues, fine motor delays, motor development & coordination and self care skills. Mary enjoys a multidisciplinary team approach and feels that parents are the biggest team members for a child.